Heated Seats, Navigation, Onboard Communications System, Dual Zone A/C, iPod/MP3 Input. EPA 33 MPG Hwy/23 MPG City! 230i trim CLICK ME! KEY FEATURES INCLUDE Back-Up Camera, Turbocharged, iPod/MP3 Input, Onboard Communications System, Aluminum Wheels, Dual Zone A/C. BMW 230i with Mediterranean Blue Metallic exterior and Cognac Lthr w/Dark Brown hglgt interior features a 4 Cylinder Engine with 248 HP at 5200 RPM*. OPTION PACKAGES PREMIUM PACKAGE Heated Front Seats, Universal Garage-Door Opener, Navigation System, Speed Limit Info, Remote Services, Advanced Real-Time Traffic Information, Apple CarPlay Compatibility, 1 year trial, Heated Steering Wheel, CONVENIENCE PACKAGE Auto-Dimming Rearview Mirror, Auto-Dimming Interior & Exterior Mirrors, SiriusXM Satellite Radio, 1 year All Access subscription, Ambient Lighting, Comfort Access Keyless Entry, Lumbar Support, harman/kardon PREMIUM SOUND SYSTEM, FINE-WOOD FINELINE TRIM W/PEARL CHROME ACCENT. Steering Wheel Controls, Rollover Protection System, Heated Mirrors, Electronic Stability Control, Bucket Seats. 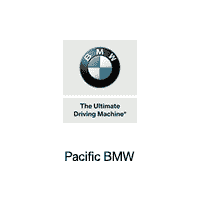 VISIT US TODAY Established in 1982, Pacific BMW has grown to become the premier Los Angeles auto dealer in the Southern California region. Throughout our tenure we strive to include the best possible customer service with top-notch repair/maintenance work and comprehensive new and used car, and SUV inventories. Horsepower calculations based on trim engine configuration. Fuel economy calculations based on original manufacturer data for trim engine configuration. Please confirm the accuracy of the included equipment by calling us prior to purchase.